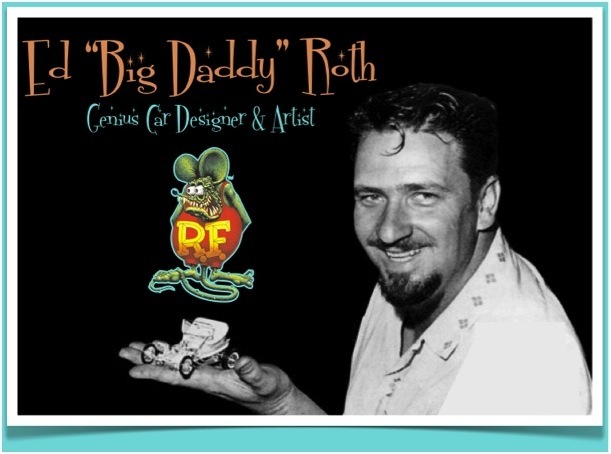 My Step-Father and I were watching American Pickers (one of my favorite shows) and they brought up Ed “Big Daddy” Roth and how he was a really cool car designer. My Step Father said he made a lot of cool kits for kit cars. 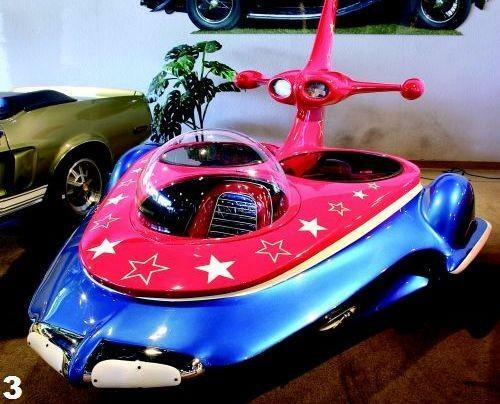 These cars are soo far out. Here is a clip of some of his rides that are in a museum in LA. 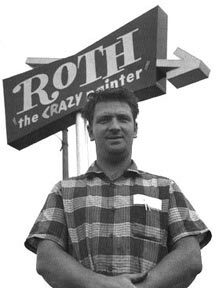 Ed “Big Daddy” Roth was born in Beverly Hills on March 4, 1932. He grew up in a German speaking household with a younger brother, Gordon. In school Ed learned to speak English and he liked to draw. Ed was able to do his homework and keep up with the rest of the class while he drew pictures of airplanes, hot rods, and monsters. His father Henry was very strict with the brothers and kept the two out of trouble by supplying them with tools and a workshop. 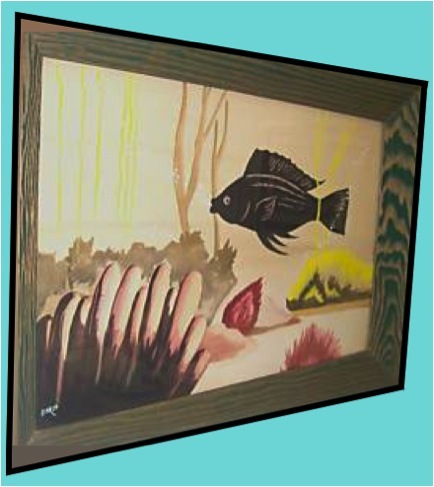 Ed’s dad was a German cabinet maker and it was in the workshop where Ed learned how to build crazy stuff out of wood. Ed purchased his first car in 1946 shortly after WW II ended. It was a 1933 Ford Coupe. He graduated high school in 1949, and went on to college majoring in engineering so he could advance his knowledge in automotive design. Ed did pretty good in college but got bored with his engineering and physics classes because they just didn’t have anything to do with cars. As Ed’s family grew, so did the bills. In 1958 Ed went to work full time with “The Baron” and his grandson Kelly. 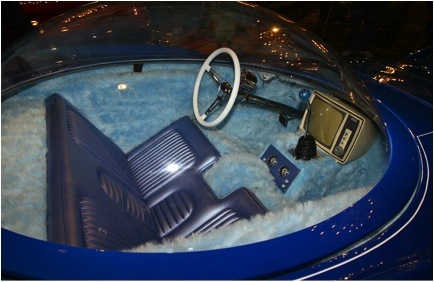 Using junkyard parts and a newly developed product called fiberglass, Ed created automobiles in his garage. 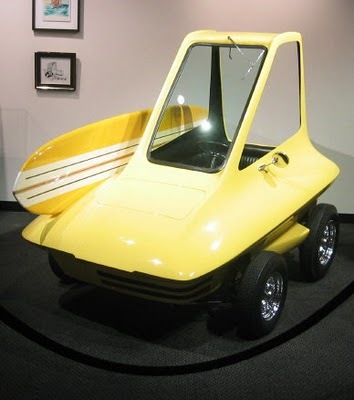 Ed’s first car was called the “Little Jewel”. 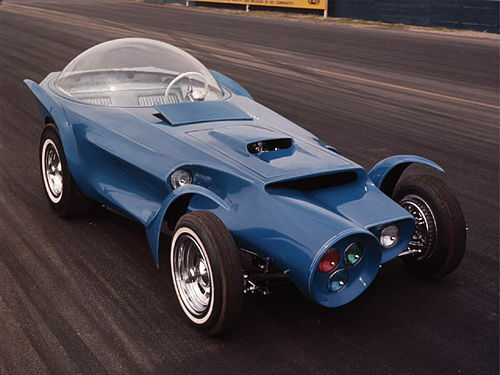 Shortly after came the “Outlaw”, which showed the world that anyone could design and build a car without being a certified automotive engineer. All you really needed was imagination, some motor head know-how, a lot of elbow grease, and gumption. Presto! 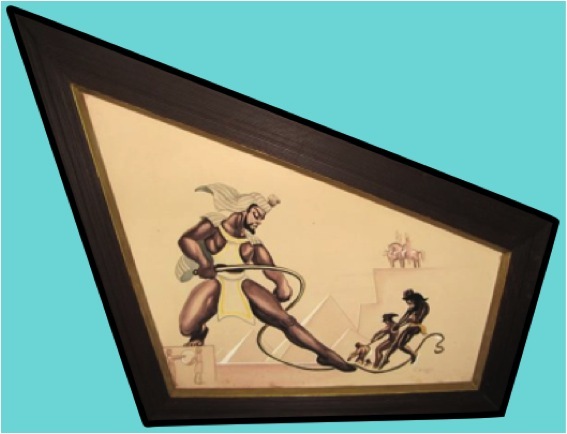 His garage became his studio where other creations came into light which include the “Beatnik Bandit” and “Rotar”. 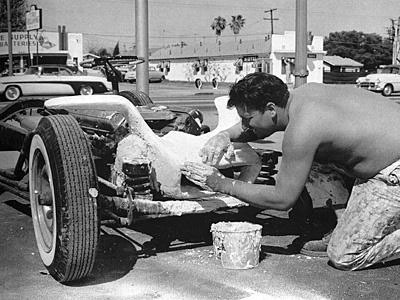 Ed became Ed “Big Daddy” Roth, a hot-roddin’, gear head, mad scientist, and struggling artist who financed his inventions by selling drawings and t-shirts at drag events, fairs, and car shows. 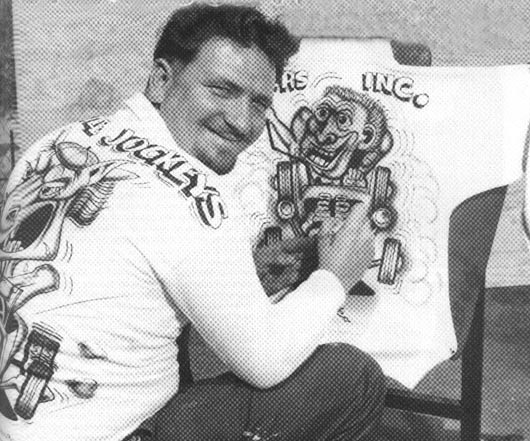 Big Daddy Roth would draw cartoons of monsters that he created and pictures of cars, but when he personally airbrushed t-shirts with the monsters driving the cars, people went crazy and would line up at his booth. The most popular Ed “Big Daddy” Roth monster was Rat Fink. 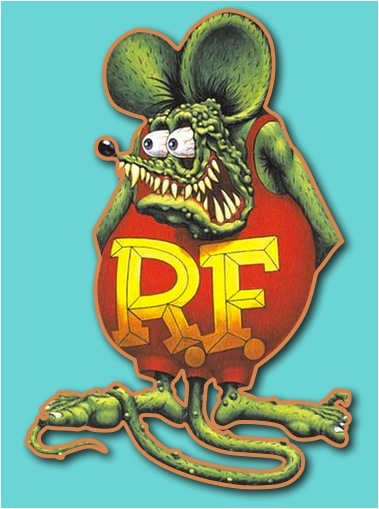 Rat Fink started as a drawing that Ed had put on his refrigerator. 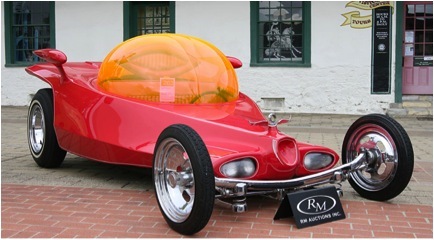 Ed “Big Daddy” Roth was a genius at designing cars, but it was Rat Fink that brought him fame. By 1963, teenagers across America were buying Rat Fink model kits and mass-produced Rat Fink T-shirts by Ed “Big Daddy” Roth. 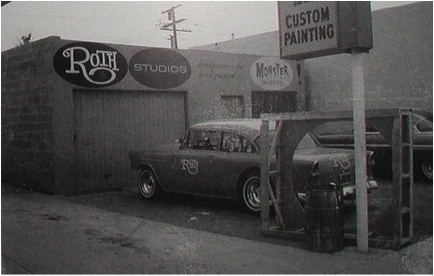 When Ed “Big Daddy” Roth got so busy that his garage couldn’t handle the work, he moved his operation into a new shop in Maywood, California. Ed had to hire several employees to help him build and produce more custom cars and t-shirts. Revell American produced model car kits that featured the “Beatnik Bandit” and “Road Agent”. Other model kits included “Rat Fink” and the gang, a group of hot rodding monsters. Here is a very interesting note: During 1963 Revell paid Ed “Big Daddy” Roth a one cent royalty for each model sold. Ed brought in $32,000 that year in royalties. Now figure out the math. 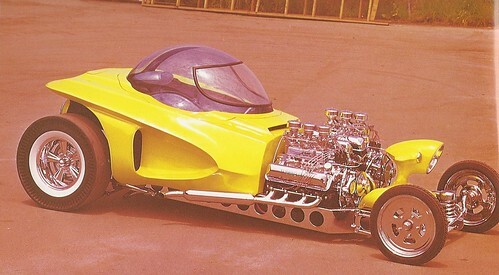 That’s how popular Ed “Big Daddy” Roth creations were. The Ed “Big Daddy” Roth Gang included: Rat Fink, Drag Nut, Mother’s Worry, and Mr. Gasser. 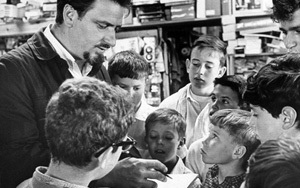 They soon became heroes to young kids across the nation who could relate to the stories and themes of the Ed “Big Daddy” Roth gang. There were also several Ed “Big Daddy” Roth record albums produced. The band was called “Mr. Gasser and the Weirdos,” featuring Ed “Big Daddy” Roth. 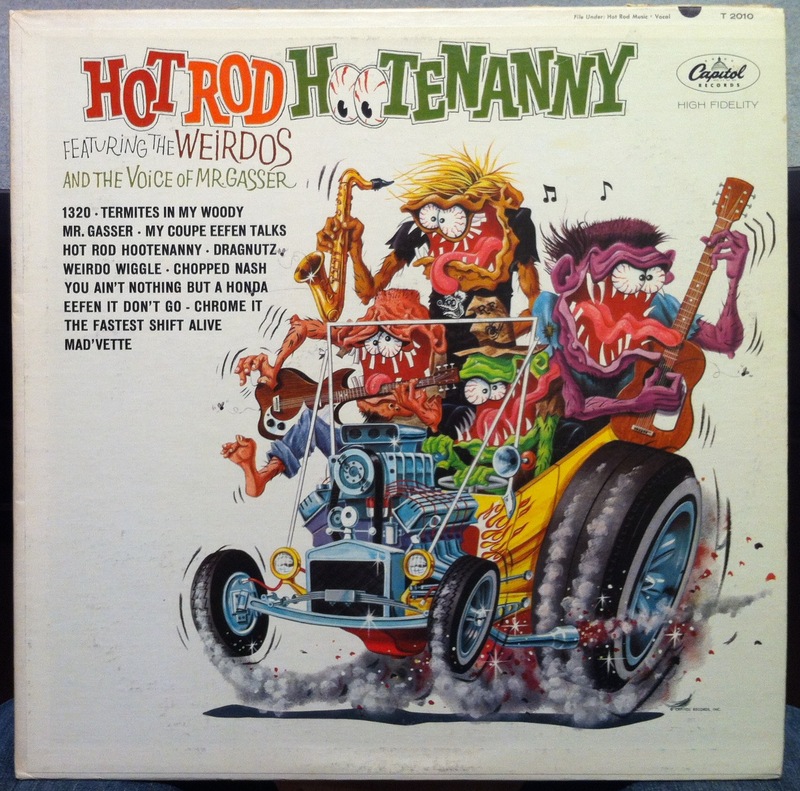 The songs featured on these records told descriptive stories about the Ed “Big Daddy” Roth gang and their favorite pastimes, like hot rodding and surfing. The general message intended was that being different or weird was okay, and being a Fink or a Weirdo was cool. It was a lesson some of us never forgot. 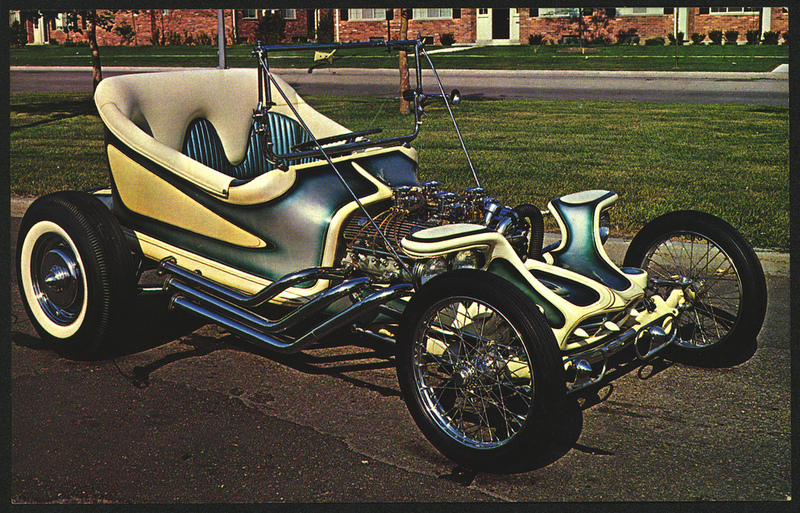 Rat Fink and the gang driving their hot rods have become rock-art icons. Originally they were adopted by surf musicians and today the gang can be found everywhere. A number of punk and alternative bands have used Ed “Big Daddy” Roth images on LP’s and CD’s such as: Birthday Party “An Australian Band” with Junk Yard cover 1981 and current releases by the Voodoo Glow Skulls Cover Artist “Marco Almera”. There is even a band called Rat Fink. 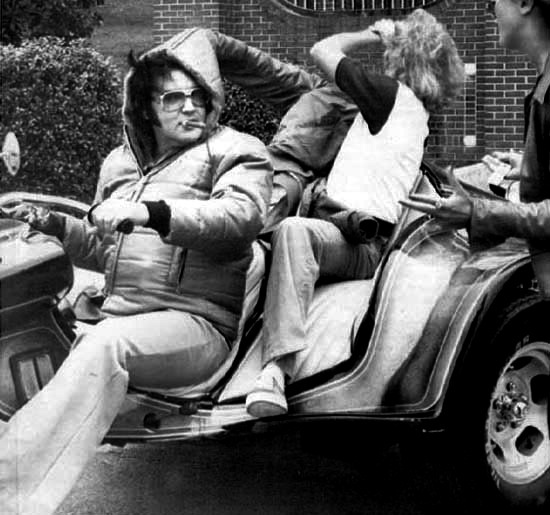 Elvis on his trike built by none other than Ed “Big Daddy” Roth. Ed “Big Daddy” Roth artwork can be found throughout the late 1980’s and mid-1990’s in underground comics produced by Roth and Sloane. 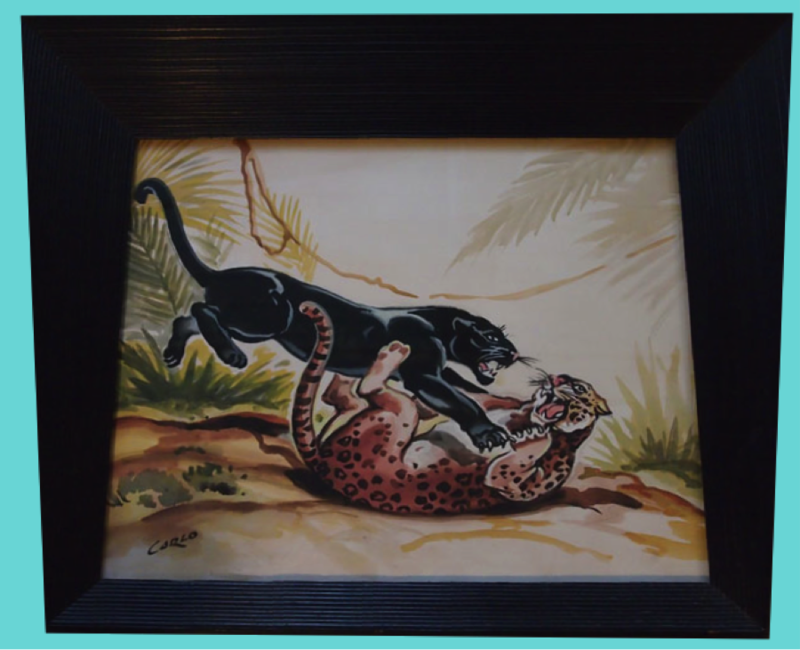 You can also find Roth’s artwork in tattoo parlors and in art galleries. Yes, many of us consider the work Ed “Big Daddy” Roth as fine art. You can also find Ed “Big Daddy” Roth creations on concert posters by other American cult artists Frank Kozik and Coop. Ed “Big Daddy” Roth passed away on April 4, 2001. The doctors said his death was caused by a heart attack. 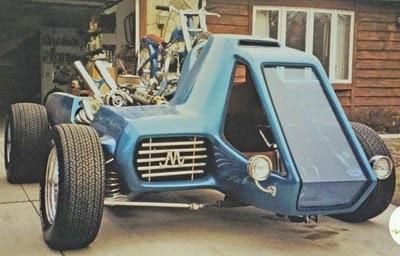 Ed Roth’s genius has created a timeless monster. 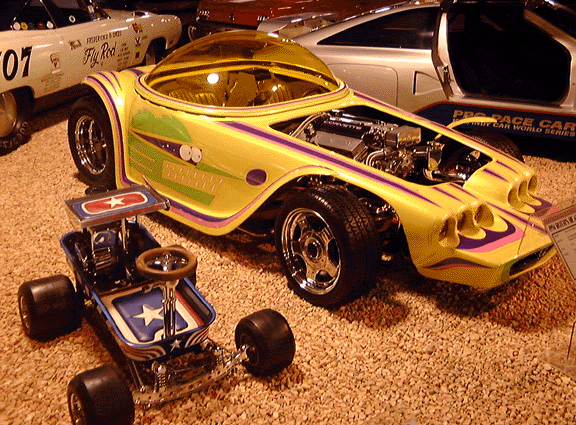 Rat Fink, his Show Cars, and his Monster designs still reach the diverse demographic appeal of young adults today. Rat Fink and the gang will continue into the new millennium capturing a new group of Finks young and old for decades to come. 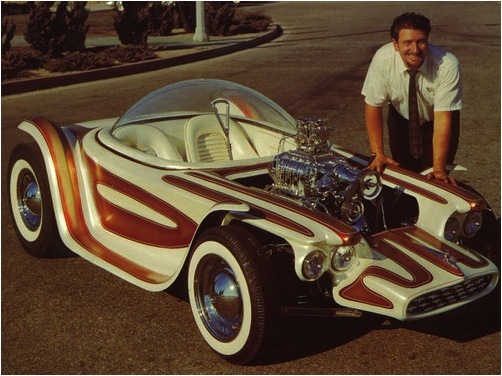 Posted in Nostalgia and tagged big daddy, big daddy roth, custom car, custom cars, ed big daddy roth, ed roth, hot-rod, R.F., rat fink car, rat fink cars, ratfink, ratfink art, ratfink car, ratfink cars, vintage custom car, vintage custom cars. Bookmark the permalink.